Google Bookmarks Lists, Google Friend Connect, Google Gears, Google Wave and Knol are some of the features that should be joined the discontinue list of Google services. Everyone knows that Google has removed the timeline search option which created "a graph of historical results for a query" for bring a better result for us. Though Google Friend Connect will be replaced by Google+ pages, you can still use it till March 1, 2012 for non blogger sites. However, the Blogger feature will be still active for a few more months. The other feature, Google Wave will become read-only on January 31 and it will be closed 3 months later. On the other hand, the Gears-based offline mode will not longer work in Google Calendar and Gmail starting from next month. Therefore, make sure that you’re switching to Chrome if you’re using the older version of Mozilla Firefox or Internet Explorer. It is a project and favourite for the experts who write the interesting article. However, it was not enough successful to make a difference. Therefore, Google is conscious on the products that benefit the most people and solve the most important problems. 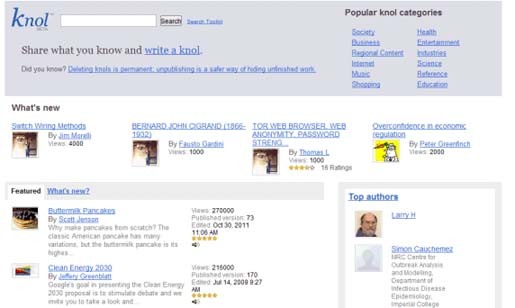 Google says that "Knol will work as usual until April 30, 2012, and you can download your knols to a file and/or migrate them to WordPress.com. From May 1 through October 1, 2012, knols will no longer be viewable, but can be downloaded and exported. After that time, Knol content will no longer be accessible." Why not preserve the content? Some Google Answers pages are still useful after so many years.